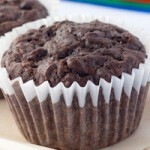 What’s better than double chocolate, melt-in-your-mouth muffins? 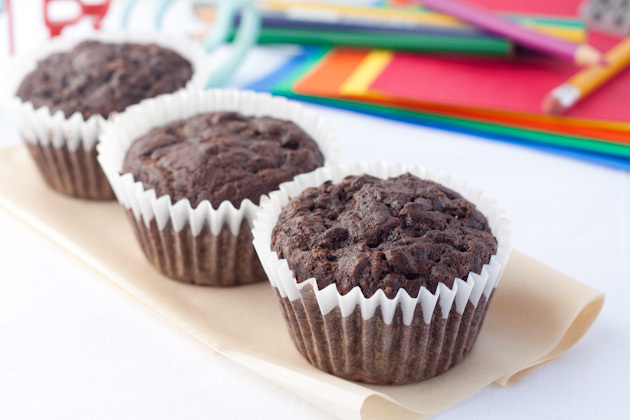 Healthy, grain-free, dairy-free, double chocolate, melt-in-your-mouth muffins with 110 calories, under 7 grams of fat, over 2 grams of protein, and (get this) 8 grams of sugar! Try saying that 3 times. Hard, isn’t it. You know what’s not hard? Eating 3 of these in one sitting. Not like I did that or anything… Hey, they’re packed with health… and I had to make sure they were blog quality! 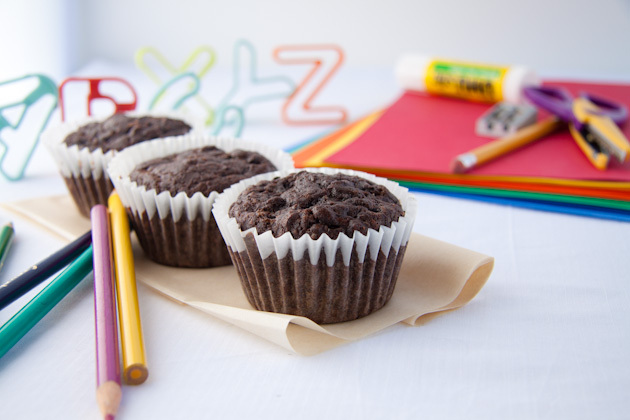 When Christi from Love from the Oven asked me to help her come up with a healthy chocolate chip muffin recipe that was kid-friendly and packed with zucchini, I took her up on the challenge. 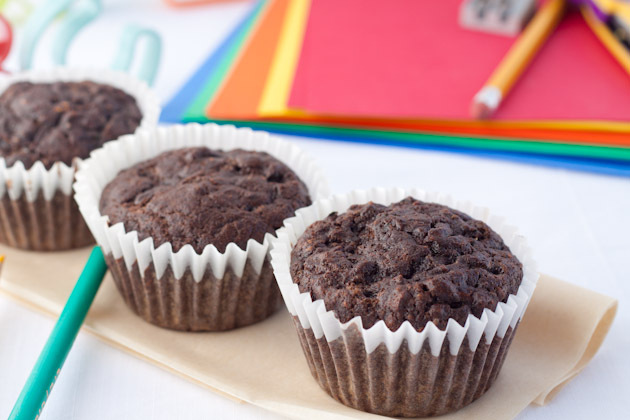 3 tries later, and a freezer full of retakes Kevin’s snack for the next 3 weeks, I finally felt confident that my muffins were ready for the masses. 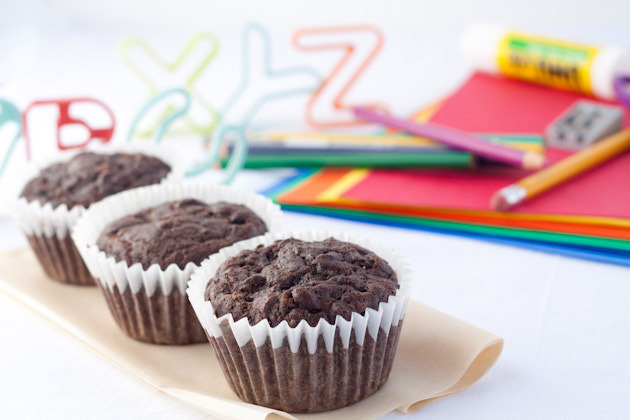 Head on over to Love from the Oven to check out the recipe!